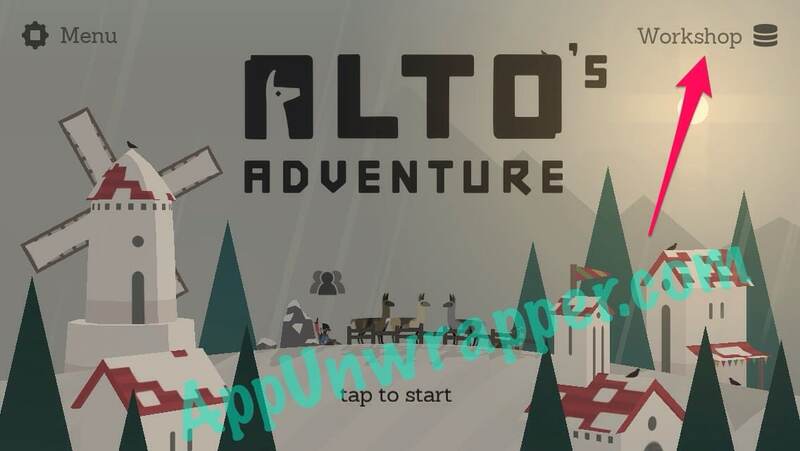 This will be a walkthrough guide with hints, tips and tricks for the iOS snowboarding endless runner, Alto’s Adventure. It’s a work in progress, so please bear with me. Feel free to ask for help in the comments section or offer your own tips. You can also see some gameplay footage here. Here’s a list of goals for each level. When you pick up speed from doing tricks or going over ice, you’ll temporarily have a little force field in front of you. This allows you to smash through rocks and campfires. But be careful, because sometimes it disappears right before you hit the rock! Some characters like Izel and Tupa also shoot sparks behind them when they pick up speed! You’ll want to do as many flips and tricks as possible, so you can pick up more speed as you approach chasms. 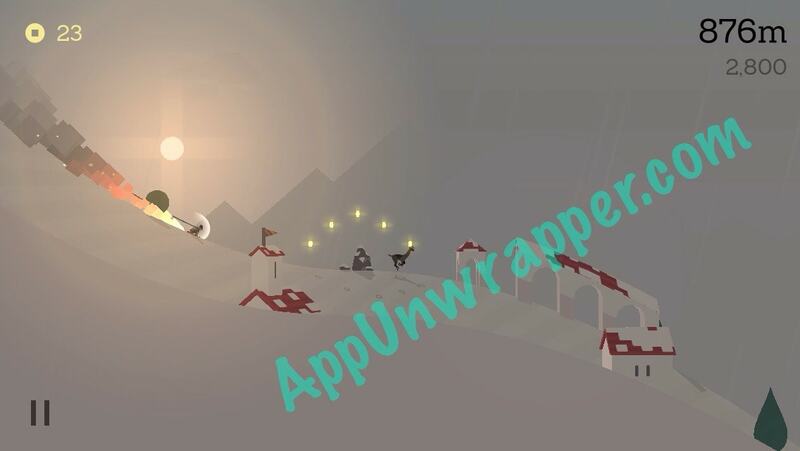 It might seem more difficult to pull off backflips with Alto, but once you unlock Maya, you can do them a lot easier. Try to do a backflip whenever possible! The magnets are red power-ups that will give you the ability to attract coins for a brief period of time. 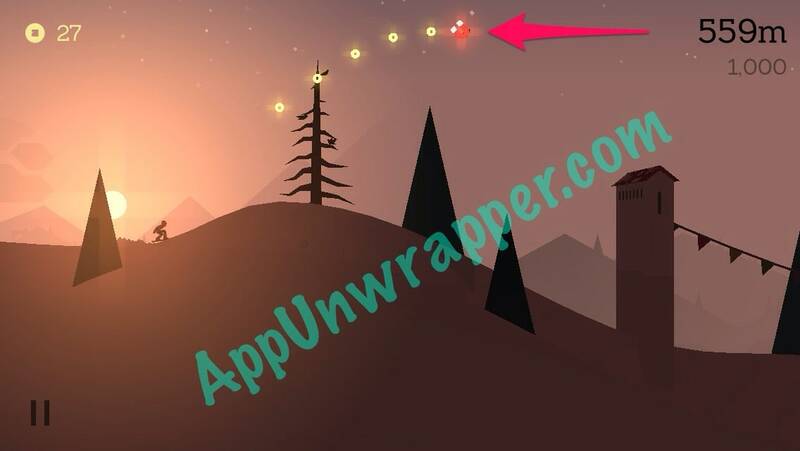 Alto’s scarf will glow yellow and he’ll pulsate while the magnet is active. You can extend the time by upgrading the power-up in the Workshop. If you go through a blue feather, that’s the hover power-up. It will allow you to hover a bit a above ground for a brief period of time. 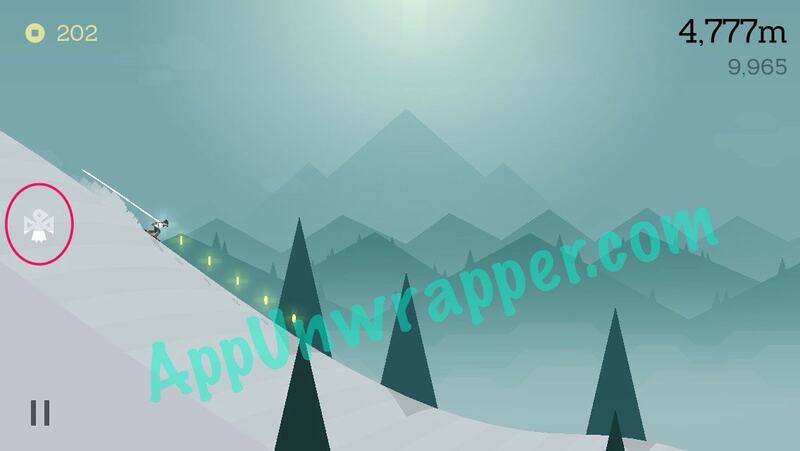 Alto’s scarf will also glow blue. You can extend the time by upgrading the power-up in the Workshop. The benefit of hovering is that you glide right over rocks, campfires, and even some chasms. You can even land on your head and you’ll bounce right back up. The hover board is also great for getting proximity backflips without the risk of injury. But you also might glide over coins and other power-ups. So there’s a bit of a trade-off. There are many types of chasm jumps, some easier than others. To get across the really tough ones, you’ll need to have both speed and timing for your jump/backflip so you have enough time to turn and land safely. Try to pick up speed beforehand by pulling off tricks and combos. If you have a ramp to jump off, you want to jump around the middle of the ramp, not the end. 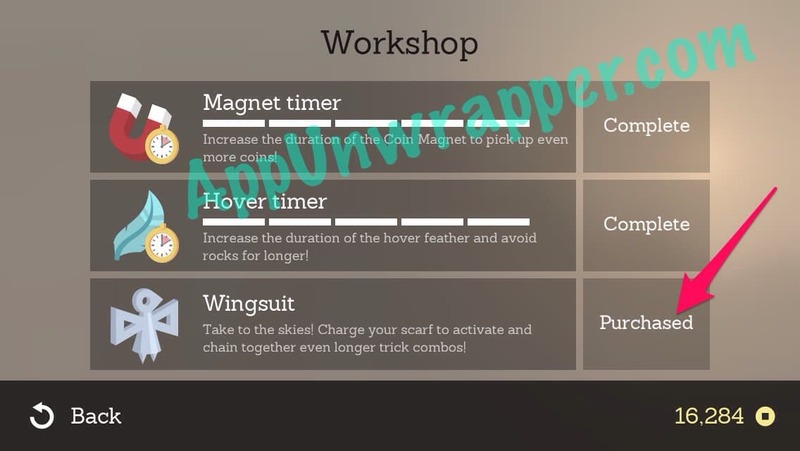 To buy the wing suit, go to Home (main menu), then tap on Workshop in the upper right-hand corner. You need 7,500 coins to purchase the suit. To use the wing suit, you need to perform lots of tricks and stunts consecutively to make your scarf grow. 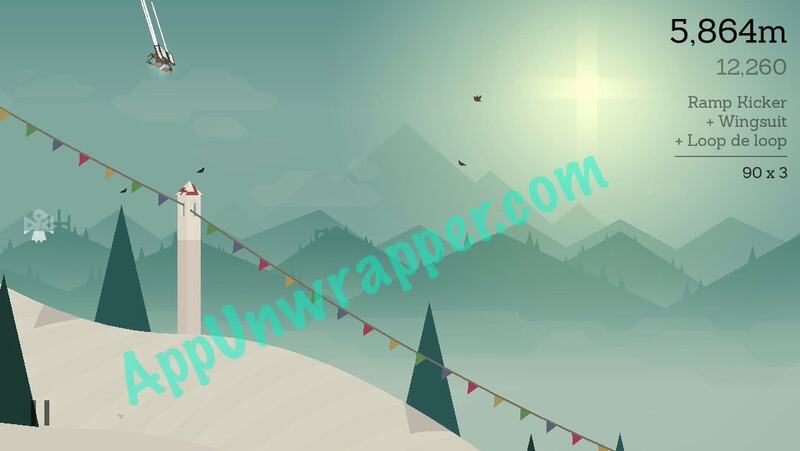 When it gets really long, it will turn white and a little angel-esque icon will appear on the left side of the screen. Tap that icon and you can fly around! You have to stay in the air for it to remain activated. If you land, it will deactivate. You can still use it until the meter runs out and it disappears. To control it, you just press down anywhere to glide. The longer you press the more you’ll turn upwards, eventually doing loop-de-loops! You can then deactivate the boost by pressing the icon before it runs out, and build it back up again. The Elder can be found sleeping near a fire. You need to jump over him, but then he will start chasing you. He will continue chasing you until he either catches you or you jump over a chasm. He cannot follow you over a chasm, so that’s the only way to lose him. He moves fast, so the best way to pick up speed to outrun him is by doing tricks to get speed boosts. How do I perform a proximity wingsuit fly? It is one of the goals on level 35 to do this for 50 m and I cannot accomplish it. You have to fly in the wing suit for 50m just above the snow. If done just right the snow underneath you will show signs of disturbance, if too low you will automatically land on ground and too high you won’t acheive either. You don’t need to “fly as low as you can without crashing”, you only need to fly low enough to disturb the snow. My source is having done the mission, and also the 100m version of it. i Amsterdam at level 11 but still with the alto charmanter. Cant get further this way. Can i somehoow change into Maya? Tap on home and then switch characters by tapping the figure button in the middle of screen and then pick other character. What do I need to fly in proximity to in order to earn this accomplishment? I actually find the wingsuit to be quite unwieldy and frustrating to conduct. Take maya or tupa if unlocked. Sure Spot for triple backflip is , when there is ramp just at beginning of downhill. Another way is by luck. Double backflip to rock bounce to backflip. Is there something special I need to do? I just did this one 5 minutes ago. I was having the same problem. I think the issue was that I was going too fast. I had to approach the elder at a way slower speed and clear his entire tepee with the flip. Hope that helps! Hi, i stuck at level 29.
what it mean by single village? The villages are the areas with houses. It’s hard to tell exactly where one begins and ends. Just pick up llamas whenever possible and you should get it eventually. Hey I’m stuck on lvl 25. I don’t know what it means to Do a backflip on a grind twice in one run. Does anyone else know!? Please help. I’m debating on deleting. I’ve been on this lvl forever. I’m stuck at Level 19, I have played hundreds of games and never manage to pull off 3x ramp onto grind in one run. They just don’t appear that often. Usually, I outrun an elder before I get the chance for a 3rd ramp onto grind, and die before even seeing one. I played so many games on level 19 that I managed to buy the wing suit and all but one magnet and feather power ups… Halp!?! I didn’t have a lot of trouble with that one, but a lot of other people did, so they’re adding more of them in the upcoming update. Level 19 extremely frustrating, maximum 2 wooden ramps that lead to flag line or roof — 3 required. 3rd day in this level. Ready to delete the game. Thanks for all the info on your site! For me, I got it right before he would have turned white and activated the wingsuit. But since my game is bugged, the wingsuit didn’t charge up. This wasn’t the case with me. In fact I’ve been had the wingsuit charged and even used with Izel and still this goal eludes me. It’s the only goal left until I need to achieve for the next level. Anyone else have this issue and have found a way to solve it? For me, i just dis it by activating the white wingsuit. Once Izel fly with the WingSuit, the goal was reach. Same issue with me- it’s extremely frustrating. I’ve had a full white scarf and even flown with Izel, but I still haven’t been awarded the goal. Anyone please advise!? Thanks a lot. Stuck on level 39. Fly through arch way. Where is there an arch way? I believe it’s the same building that you can grind the rooftop, but you need to go through it instead. I purchased the wingsuit pretty early on but now it doesnt work. I use Maya primarily so that I can do a lot of flips and make the scarf get really long. It’ll flash white once it hits its maximum length but there is no icon for the wingsuit. Is my game corrupt or something? I don’t know what to do. That was an issue I had before the update. If you updated and are having that problem, I suggesting contacting the developer. stuck on level 29… Have got over 10,000 dozens of times but no joy. 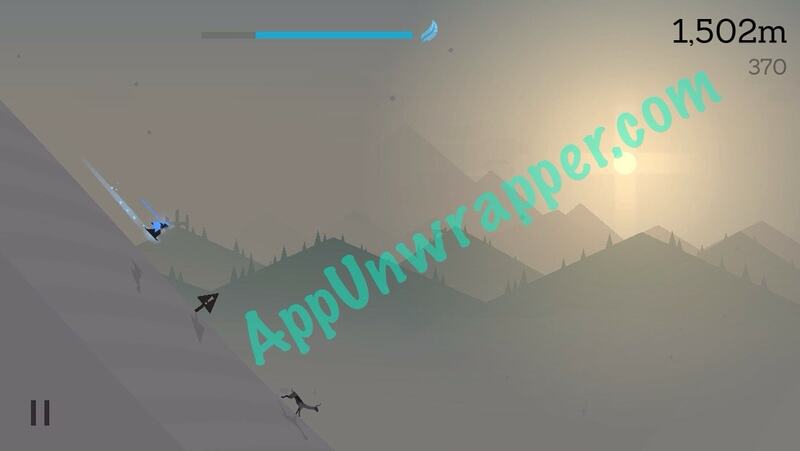 Rebooted app still no joy..tweeted game designer said re-install..no joy still!! FRUSTRATING! I was stuck on this one as well—the 10,000 points this goal refers to are points accumulated by tricks only, not distance, llamas, coins, etc. these are the points that are accumulated throughout your run just below the distance counter in the upper-right corner of the screen. Cheers! I tried everything and i think this is a bug.. someone has passed this? That sounds like something very very specific to your environment. Are you saying you’ve done it and it didn’t register, or the opportunity just hasn’t come up? I’m pretty sure I’ve done that before (but I’m not up to that goal yet). Level 57 “wingsuit in-between 3 separate grinds” what??? Anybody know what that mean? Grind and then activate your wingsuit until you land on another grind then do it again. Stuck on Level 48 – “Perform a wingsuit loop before flying through an archway.” I can’t build enough speed to get the wingsuit before the first archway appears. Any ideas on this one? I am also stuck there. I am CERTAIN I achieved it, a full loop BEFORE the archway, and then even flew through the entire subsequent archway… but it didn’t acknowledge it… If anyone has tips, it’d be much appreciated. Hey, i saw this website and thought it might be able to help. Im stuck at 1 assignemt at level 31. “Reach max boost speed with Izel” i keep trying but when i think i go fast as possible i still dont get the assignment completed. How did you do this? Is this just a bug? Or am i doing something wrong? You need get to the the point that your scarf turns white (ready for the wingsuit). And what if i did and nothing happends? Might be a bug. If so, you should contact the developer. I am stuck at level 31 unable to complete the same challenge. Reached “white scarf” multiple times, the wing suit icon appears, and regardless of it being used or not, the task does not get marked as completed. Could it be that if you buy the wing suit before achieving that challenge, it becomes impossible to complete? I figured this out. As you might first assume (I assumed this), Filipe would most likely be the best to use for this. However I recently realized that Paz has a stronger gravitational acceleration. What this means in plain English: Paz falls down faster. How this is helpful: If you use Paz, you can stay on the grind the longest without being flung off, being able to spook more birds. By “wing suit 200m” what they mean is that the wingsuit has to be actually on, not just that you have the white scarf. Once you charge it, tap the wingsuit icon with your finger and you’ll change to it and be flying. Every time you tap, it gives you a little upward motion. To fly flat and straight, many small taps. To loop, tap and hold. Stuck at trying to double backflip on a grind? Level 45. Where can you actually do that ? Thanks for any help with this! Is there a max level? I have passed level 51 and unlocked everything. Is there more? The last level is 60, but there are no more characters to unlock after Tupa. What player do you choose for level 50 for 75.000 points? Maya all the way until you beat level 50 (Unless a specific character is specified explicitly in the goal). Her ability to backflip makes it easy to outrun elders, score trick points, and just more fun to play with. Once you beat level 50 and unlock Tupa, then it’s Tupa all the way. Good luck with 50, I am working on 60. I’m at level 35, but still nothing new in the Workshop. What’s up, Izel? ?